Sequel: Harry Potter and the Chamber of Secrets. ALA Notable Children's Book, 1999. Eliot Rosewater Indiana High School Book Award (Rosie), 2001.
vi, 309 pages : illustrations ; 24 cm. 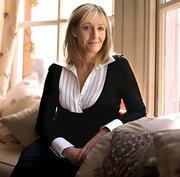 by J.K. Rowling ; illustrations by Mary GrandPré. 2 of 6 people found this review helpful. Did it help you? Exciting beginning to 7 vol series. 10 of 20 people found this review helpful. Did it help you? Most of my friends had already read all the Harry Potter books and I hadn't even read one. So, this summer I decided to start the series, and I'm glad I did. Harry Potter and the Sorcerer's Stone was a very captivating book. Every time I picked it up, I just couldn't put it down! There were pages of excitement and plenty of adventure. My favorite part was when Harry, Ron, and Hermione were just discovering how to possibly save the sorcerer's stone from being stolen. I will admit, at times all the new names of people and places did get a little confusing, but that didn't take away from the action. I recomend reading this book. You won't regret it! 16 of 21 people found this review helpful. Did it help you? A great, sometimes overly-long, and overall magical beginning. I was fascinated by how J.K. Rowling--a woman on English welfare--was so well-educated and so brilliant that she could compile all the mythology she had ever learned about and twist it all into Harry Potter and the Sorcerer's Stone. Yep--everything from Fluffy the Three-Headed Dog to Nicholas Flamel is derived or based on at least something from mythology from one place or another. (And the name Hermione is the name of a character in Greek mythology.) Four stars. 2 of 3 people found this review helpful. Did it help you? 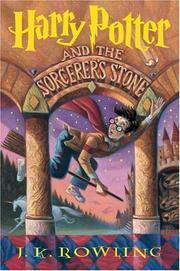 Add tags for "Harry Potter and the sorcerer's stone". Hogwarts School of Witchcraft and Wizardry (Imaginary organization) -- Fiction. JUVENILE FICTION -- Family -- Orphans & Foster Homes. JUVENILE FICTION -- Fantasy & Magic. schema:about <http://experiment.worldcat.org/entity/work/data/298916#Place/england> ; # England.